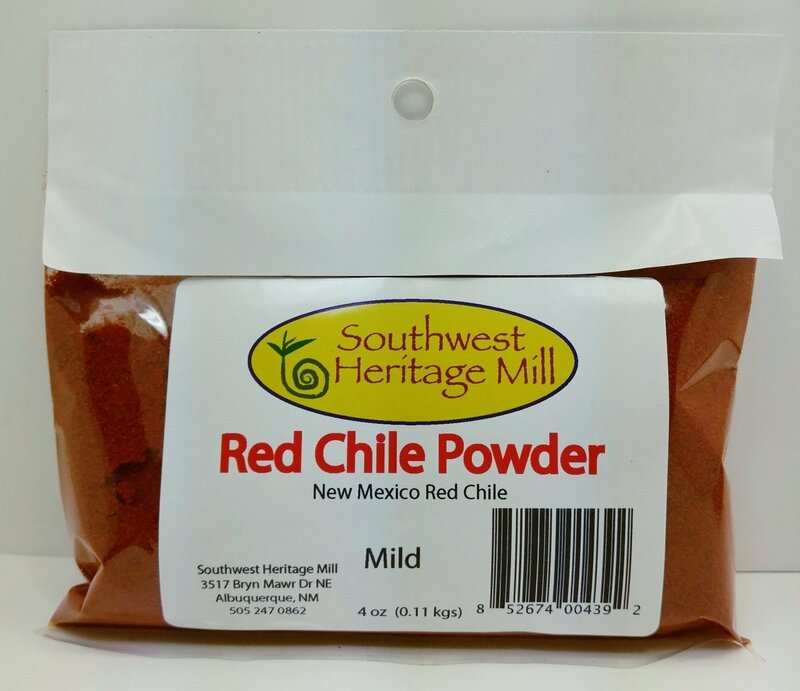 Grounded mild red chile powder. Comes in 4 oz. or 8 oz.